You are attracted to or fall in love with someone, but you do not know whether the other person feels the same for you or not. You are little confused about your own feelings and his reactions are not helping you in any way. Each one of us has sailed in the similar boat and gone through the similar confusion at times. To believe that the other person does not feel on the same lines can be upsetting or even stressful. But you cannot be over-confident and believe that the other person is infatuated by your charm. You need to be really cautious while dealing with this confusion. When you love someone, it is quite natural that your body language will change in front of that person. It can also happen vice versa. If a guy is in love with you, his mannerisms will alter and he would certainly send some flirting signals to you. If you can recognize the signs of flirting, you will come to know what he really feels for you. Flirting does not essentially mean opting for bad means to allure someone’s attention. It can be healthy if done within the limits of decorum and in an imposing way. Actually, it can be fairly helpful if you want to express your love or feelings to someone. Below are several ways which will help you know and understand the signs of flirting. Teasing a girl is the basic sign of flirting. If a man is interested in you, he will try to seek your attention by teasing you. Don’t take offense to it. His reasons for teasing you are not to disgrace you, but to engage you in a conversation with him. He is seeking your attention. And you might as well provide him the joy by joining him in the act. Need an extra clue about what is going on in your man’s mind? Observe if he tries to build eye contact with you and notice if he often tries to look at you, with or without reason. If he is trying to make frequent eye contact with you, he is possibly trying to express his feelings to you which he cannot express openly. Another sign which meets the criteria for obvious flirting is making loud voices. If your man is being quite comical, it is possible that he wants you to observe that he can be fairly funny and charming to be around. Furthermore, he is trying to get the attention in the gathering. This is only another way of gaining your attention. If a man intentionally or unintentionally tries to touch you it is another sign that the person is flirting with you. He would try to touch you by mistake, but you can figure out the reality by notice that he tries to touch you more often than he touches other girls. Another obvious sign of flirting is that your man would not let pass even a single chance of praising you vis-à-vis your elegant beauty and perfection. He would say all to admire your perfect dressing sense and the way you carry yourself. He would spray beautiful compliments on your elegant beauty. He would look at you every time you make an entry. If a man is attracted towards you then he would ensure that every time he meets you, he is able to put down a positive impression on your mind about his appearance. He would dress flawlessly and would try to look as presentable as possible to make an impression on you. If a man is trying to flirt with you, he would try and works like a leader of the group to steal your attention. He would want to impress you with his acts. He would try to walk in a cow-boyish manner. These are some of the signs which men express to show that they are interested in a girl. 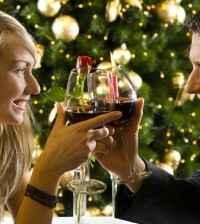 While flirting, men tend to use a special tone with the girl they are attracted to. The man would try to make his voice tone a little heavy while talking to you. If you are troubled, he will become immensely gracious and caring. These are some of the flirting signs that the man can display if he is attracted to you.